Full disclosure: I hate spoilers in reviews, so there won’t be any in this INSIDE OUT review. 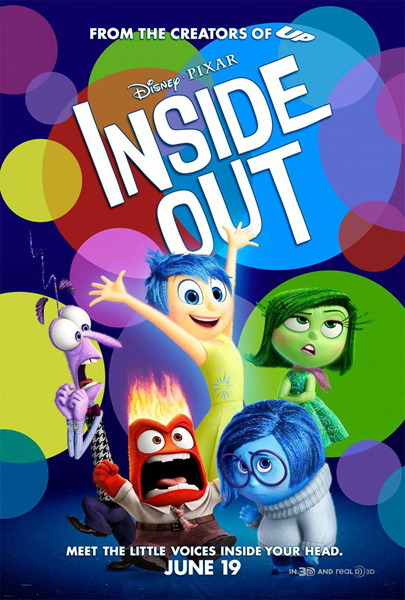 Disney•Pixar’s INSIDE OUT is a great movie for a family day at the cinema. All ages will enjoy it. Beyond that, though, I think all children should see. This is one of the most meaningful movies that has come out for children in quite a long time. That all emotions matter and should be expressed is something all children should know and who better to tell them than the emotions themselves. 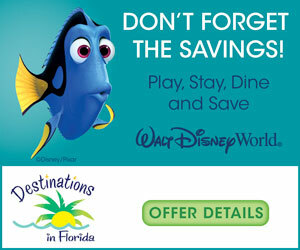 For more photos, news, and behind the scenes information on Disney•Pixar’s newest film, click here. 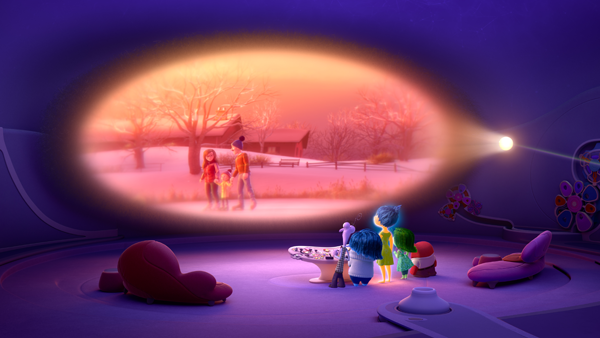 Continue reading for more details in our full spoiler-free INSIDE OUT review. 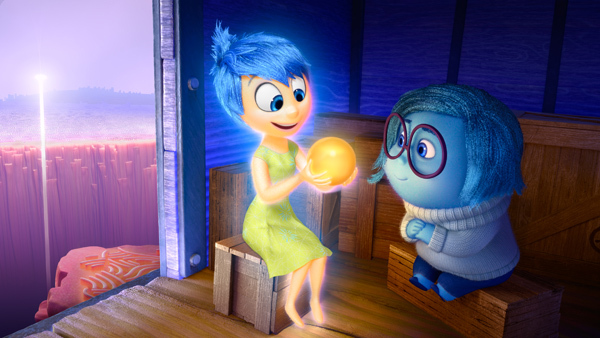 Disney•Pixar’s INSIDE OUT has all the feels, literally. The main characters are the key emotions (Anger, Disgust, Fear, Joy, and Sadness) of Riley, a little girl going through a big transition. The family dynamic is impacted and Riley struggles to show a happy face no matter how she’s feeling inside, but we, the viewers, spend quite a bit inside Riley’s head with Anger, Disgust, Fear, Joy, and Sadness, so we know (kind of) what’s really going on with her. WHAT ARE THEY THINKING? Pixar Animation Studios takes audiences inside the mind of 11-year-old Riley, who is uprooted from her Midwest life when her father starts a new job in San Francisco. Riley struggles to adjust, and when Fear, Disgust and Anger are left in control, even a simple family dinner takes an unexpected turn. ©2014 Disney•Pixar. All Rights Reserved. More importantly, we know what’s going on with her emotions. The movie starts at Riley’s birth and in her head, we see the emotions come along, showing us that they’re not just for communicating. For example, Fear keeps us safe and teaches us risk assessment and analysis and Disgust saves us from eating gross foods (I happen to like broccoli, but, apparently, Riley doesn’t). The first scenes of the movie take us through Riley’s early childhood and also show us how our minds work. Note, that’s mind, not brain. INSIDE OUT walks the line between information and fantasy beautifully. Dreams and imagination and long term memory are all there, but in fanciful ways that will delight adults and children alike. Fear (voice of Bill Hader), Sadness (voice of Phyllis Smith), Joy (voice of Amy Poehler), Disgust (voice of Mindy Kaling) and Anger (voice of Lewis Black) guide 11-year-old Riley from Headquarters, the control center inside her mind. ©2014 Disney•Pixar. All Rights Reserved. 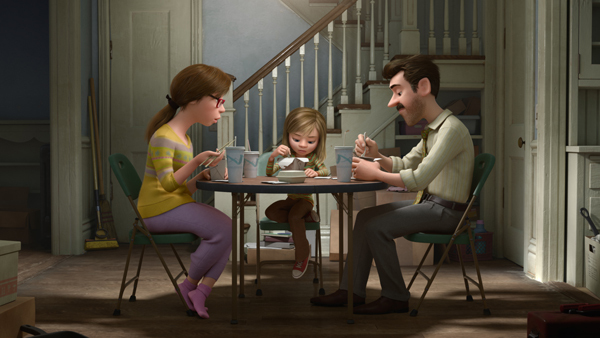 The story of INSIDE OUT begins with tween Riley’s reaction and response to the family transition. Her emotions are also going through transition. Joy, the undisputed leader of the emotion team, is fixed in her perception of how Riley should feel and working hard to keep her happy during the transition, which leads her to assign Sadness the task of reading the mind manuals. Joy’s attempts to keep Riley happy and the other emotions at bay lead to chaos and send Joy and Sadness on a rescue mission to save Riley’s core memories, taking them through Riley’s mind, exploring Long Term Memory, Dream Production and the Imagination Center, and finding a long lost friend. As a result, Riley’s mind is under the control of Anger, Disgust, and Fear, a potent mix for a tween. Pete Docter, the director, perfectly balanced showing Riley navigate life while Joy and Sadness work hard to save her memories. Joy (voice of Amy Poehler) and Sadness (voice of Phyllis Smith) catch a ride on the Train of Thought in Disney•Pixar’s “Inside Out.” ©2014 Disney•Pixar. All Rights Reserved. The casting of INSIDE OUT is pretty near perfect. Amy Poehler brings a light-heartedness and brightness to Joy; Phyllis Smith captures the tone and misery of Sadness without grating; Bill Hader brings a funny frenzy to Fear; Lewis Black is explosively funny as Anger and Mindy Kaling expresses Disgust with just the right amount of sneer. It’s nearly impossible for me to pick a favorite, because each performed their role so well. INSIDE OUT is hilariously funny and heart-breakingly sweet. Sprinkled throughout are creative and funny scenes and elements that complement Riley’s story, including candy tears, a rainbow unicorn, and Fritz (Pixar’s good luck charm). The glimpses into the heads/emotions of other characters in the movie were laugh-out-loud funny! The theme seems like it might be about teamwork, because the emotions are a team and they work together, but it’s really the importance of each individual emotion and their importance to the success of the team, even when they seem to be at odds with each other. And, of course, the importance of being honest about yourself and your feelings, especially with your loved ones. Opening in front of INSIDE OUT is Pixar’s highly-anticipated short, LAVA, a music video for a beautiful new Hawaiian love song. The main character is a volcano, who sings daily for love. Over the course of the ballad, we follow along on the volcano’s quest for love. The song still haunts me and I’m hoping fervently that LAVA will be included on the third volume of Pixar shorts that is rumored to be coming out later this year. Will somebody please put in a good word for me with Santa? Thanks! Uku ©2014 Disney•Pixar. All Rights Reserved. Disney•Pixar’s INSIDE OUT and the short film LAVA arrives in movie theaters nationwide on Friday, June 19, 2015. For more family movie news, be sure to follow Adventures by Daddy on twitter and “like” our facebook page too. Great review, George! I can’t wait to see it!! Great review of a wonderful movie! I can’t get the Lava song out of my head and I hope it stays for a while.